Concord police could receive up to $1.5 million worth of body cameras, dashboard cameras and smartphones if the Concord City Council approves the contract on Tuesday. 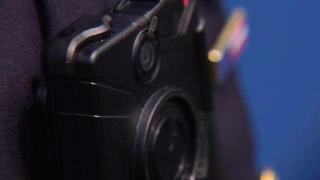 The contract includes cameras, smartphones and accessories, and access to evidence.com, an online database for police camera footage. Concord police have chosen to purchase the items from Verizon and Axon, the company associated with the electroshock weapon brand Taser. Axon's cameras are equipped with data storage at evidence.com. The city-issued smartphones with accessories will cost $56,298, while an unlimited Verizon data plan will cost $124,044, and cameras equipped with software will cost $243,844. Including maintenance and miscellaneous costs, Concord police expect to spend $565,461 in the first year, after factoring in existing budgets like a cellphone stipend. According to a report prepared for the Council by city staff, the Concord city asset forfeiture account will be used to pay for the program's first-year costs. The account currently has $800,000. The city of Concord will approve any additional costs through its regular procurement process. Concord police do not currently have body cameras or dashboard cameras, but city staff consulted several other police agencies to decide its vendors. There are 110 other agencies in California using Axon, according to the city report.